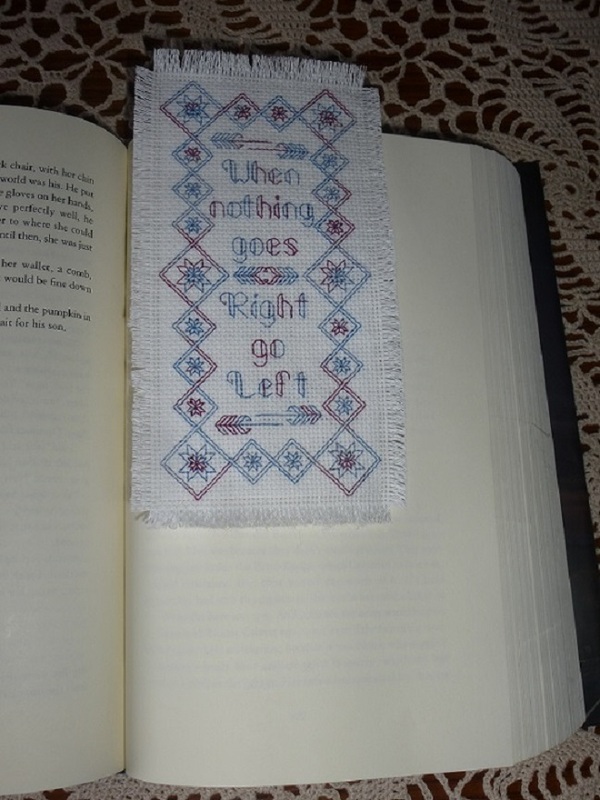 Blackwork is a centuries-old form of embroidery. In Elizabethan times clothing was decorated with delicate blackwork patterns stitched in black silk threads, and sometimes accentuated with gold and silver. 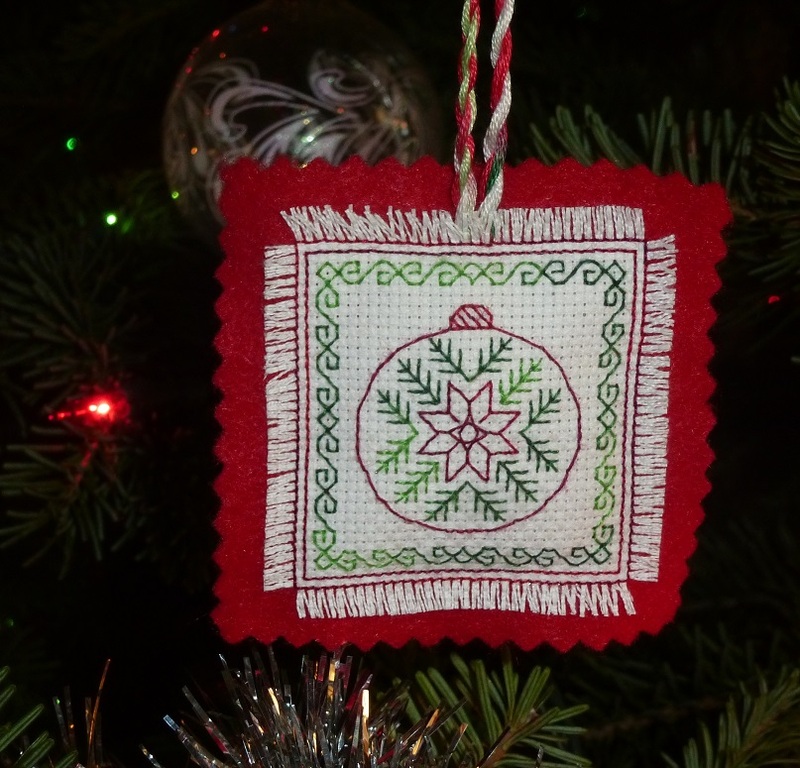 Today the lacy patterns are often stitched in coloured floss, and finished as ornaments, bookmarks, pillows, and biscornu. 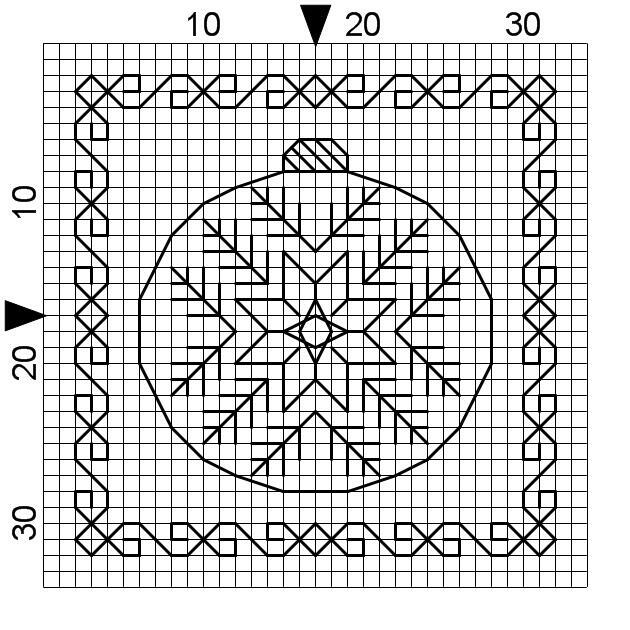 Blackwork is one of the least complicated forms of embroidery, using simple stitches to create complex designs. 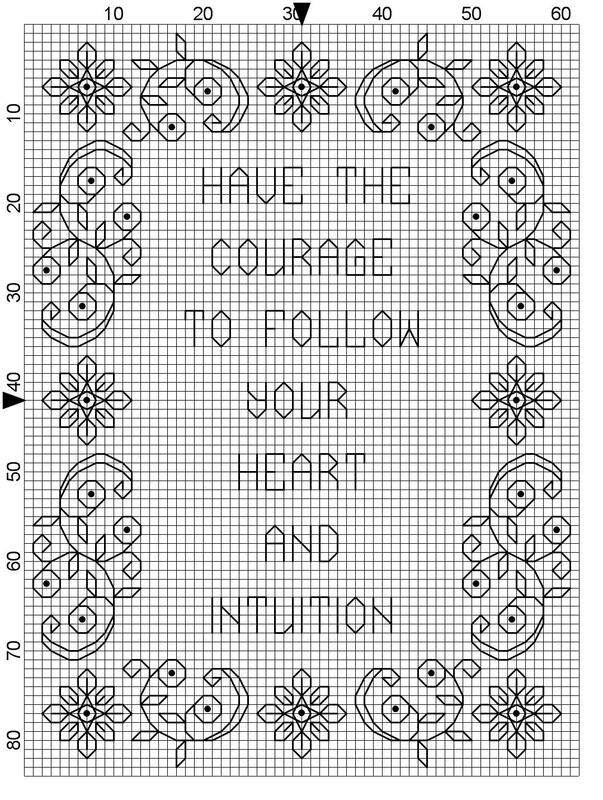 Give Blackwork a try, with this quick and easy free pattern. 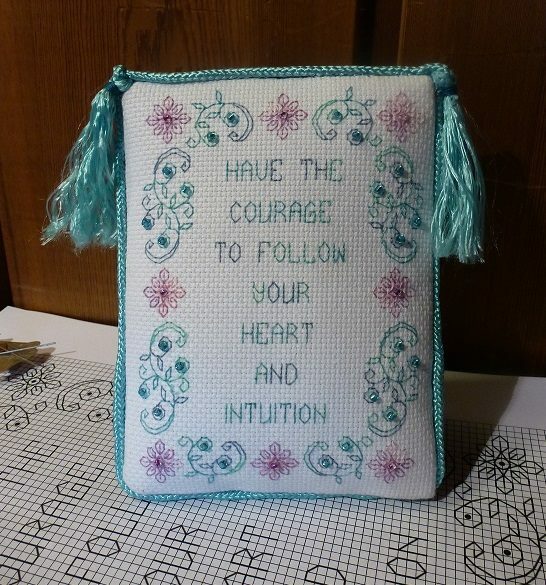 I stitched “Follow Your Heart” in two colours, in variegated floss – Dinky Dyes silks #02 Purple Haze and DMC #4030 Monet’s Garden. I added purple and teal beads for some sparkle.